This transcription represents my best effort to capture as much information about the Fellowship of the Ring film score as possible, including notes, tempi, orchestration, song texts, and cues from the movie (extended edition). The transcription is in two-staff short score format, and although information content took precedence over playability, most of the transcription should be playable at the piano, with omission of certain lines if desired. The source for the transcription was the Complete Recordings, and it is indicated where material is cut from the film. The transcription is divided according to the track listings in the Complete Recordings. Cues from the film are shown in italics, with dialogue in “quotation marks” and characters underlined. Song names, authors, and translators are shown in small text. Song lyrics are in normal type, with English translations shown beneath in italics. The matching of lyrics to the recordings is done only where possible, and is indebted to the timestamps on Marilynn Miller’s website www.amagpiesnest.com. At certain points translation was not possible, due to the jumbling of syntax in matching words to the music. 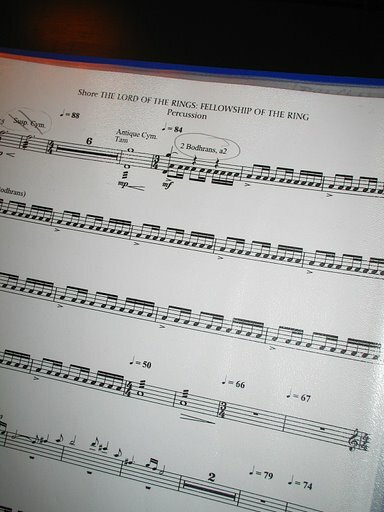 Below are all the Lord of the Rings pieces that I have finished arranging. A lot of other people also arrange music from Lord of the Rings and I have here as many of these pieces as I can find on the net. 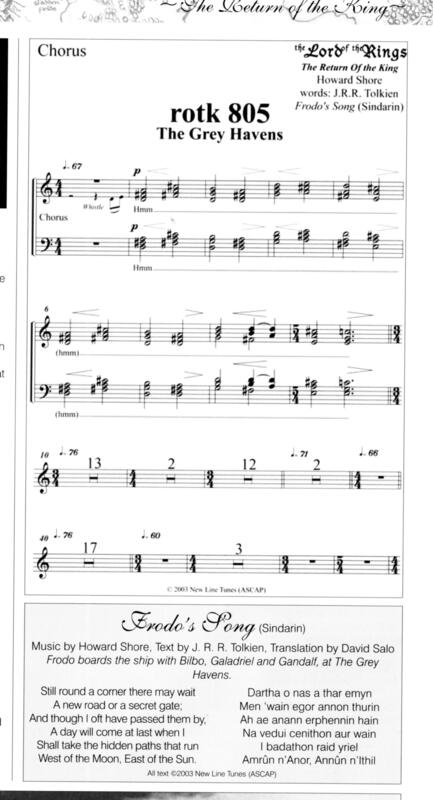 I am hoping (and I think have succeeded) to have the largest collection of free Lotr sheet music online. If you are the person who arranged this and you do not want your pieces on my site then just email me and I will be happy to take them down. If you have some arrangements that I don't have here then please email me them so I can put them up. These arrangements, named after their creators, contain bits and pieces from various parts of the Lord of the Rings scores. Sometimes, people transcribe pieces so that the notes are written, but it is not playable on piano. Here are some of these pieces. Some have more than two staves. I mainly use these to help me with my own arrangements. Frodo's Song (The Grey Havens)?